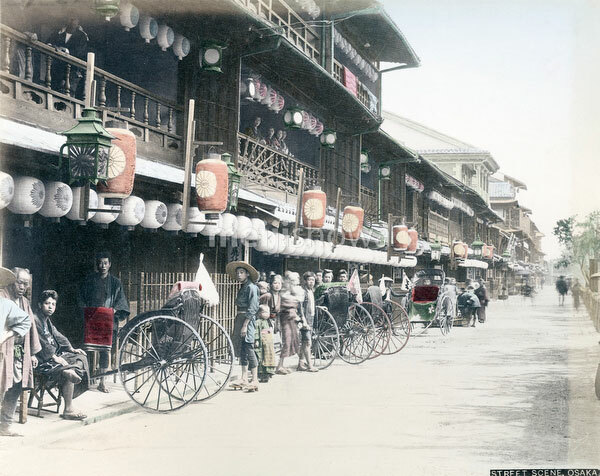 Rickshaws parked in front of brothels in the Matsushima Yukaku (prostitution district) of Osaka. Matsushima was created in 1868 (Meiji 1), nearby Osaka’s foreign settlement of Kawaguchi. The brothel district was established the following year. In 1945, the area was completely destroyed by US fire-bombings. See blog entry.